What defines a housing market? We have had many different markets over the years that have been defined by certain identifiable factors. Will the last person leaving Seattle- turn out the lights, do you remember that billboard from 1971? Or the global housing boom of 2005-2007 that was driven by sub-prime credit lending options (which no longer exist, thank goodness!). Our current market is defined by strong demand and low inventory – the basic economic principle of supply and demand – Economics 101! A market with 0-3 months of inventory is a seller's market, 4-6 a balanced market and 6+ months a buyer's market. The route of the 2007-2011 economic down-turn, where months of available inventory favored buyers and was as high as 13 months, seems like ancient history. Since the Summer of 2012, months of inventory has favored sellers in both King and Snohomish counties, with an average of two months of available inventory between the two counties over the last three years. There is a market divergence going on between King and Snohomish County due to some unique factors each county possesses. First, King County's lack of inventory has been drastic. Year-to-date, it has hovered at one month of available inventory, which means that each month we are nearly selling out of homes! This is due to the fact that demand is high and inventory is down. In the last 12 months, Seattle has had 27% less homes for sale than the previous 12 months, and closed sales are up 6%. In fact, Auction.com just named Seattle the number one housing market in the nation. This is due to the city's large technology sector driving employment, low interest rates and an increase in household formation. The housing premium in Seattle is rooted in shorter commute times to job centers, high walk scores and hip urban centers. The premium is real though, with the median home price over the last 12 months in Seattle reaching $528,000 – up 13% from the previous 12 months. In Snohomish County inventory is still tight, with an average of two months of available inventory this year. Inventory has been somewhat supported by new construction and improved equity levels for re-sale properties. The median home price over the last 12 months was $347,000 – 34% less than Seattle. Median price growth is up 9% complete year-over-year. What should we expect going forward into 2016? In both counties there was an increase in inventory in the third quarter. 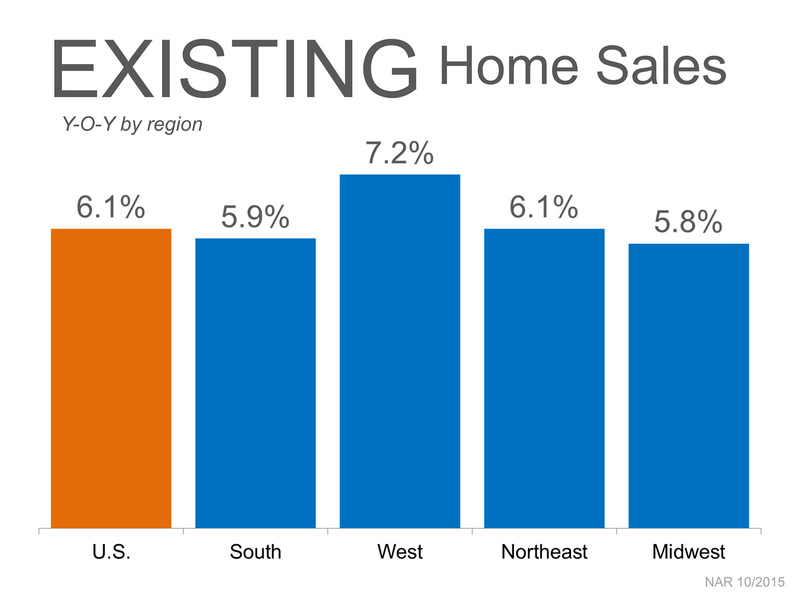 This is a promising indicator that folks are feeling more comfortable coming to market due to price increases after a booming spring market and healthier overall economic environment. Where this market is different from the bubbly market of 2007 are the drivers of the strong local economy, low interest rates and job growth, versus the unsustainable lending standards of the sub-prime loan movement. I believe we will see more homes come to market, especially as we head into the spring 2016 market. Folks are ready to move on to what is next for them, and recouped prices are enabling those choices. This increase will be welcomed as it will provide more options for buyers and will start to temper price growth, which is a good thing. Where this market has gotten a bit tricky, is where one goes once their home sells. The low inventory has made this challenging, but with any market challenge you find creative and strategic ways to maneuver through and find success for your clients. Windermere has a great Bridge Loan product to utilize, temporary moves have solved these transitions, and longer closings with seller rent-backs have also been widely used to help make seamless transitions. This an exciting market to participate in, and creative strategy is the name of the game. Please contact one of our agents if you would like to know more about the current market conditions and how they relate to your bottom line and lifestyle decisions.